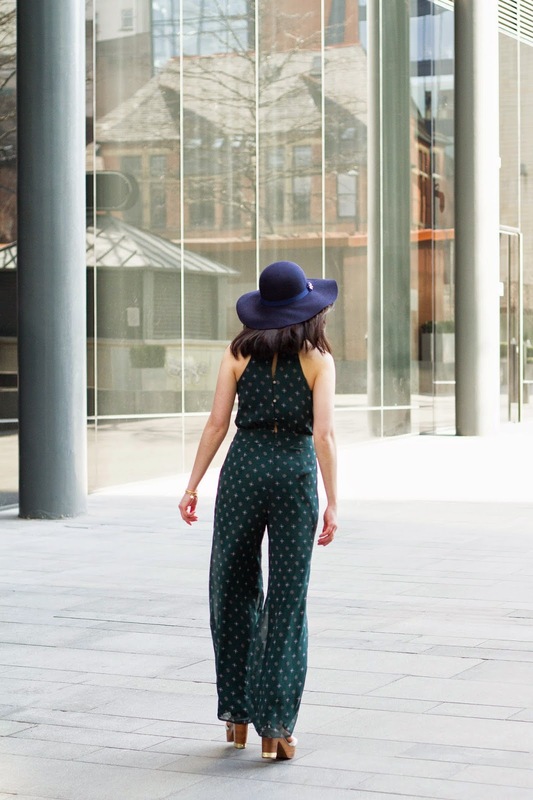 Those of you who have been following me for a while will know that I absolutely love jumpsuits for their comfort and flattering figure. 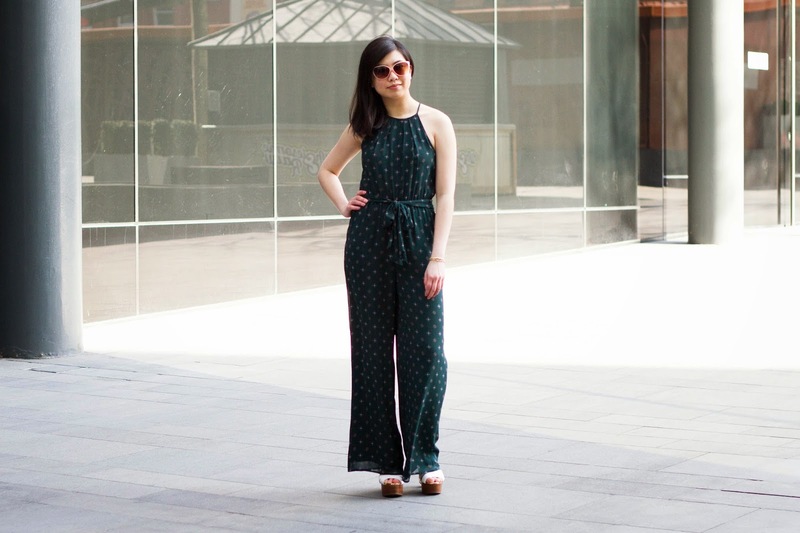 As in my last post, I'll even eschew the usual occasion gowns for a sleek jumpsuit. 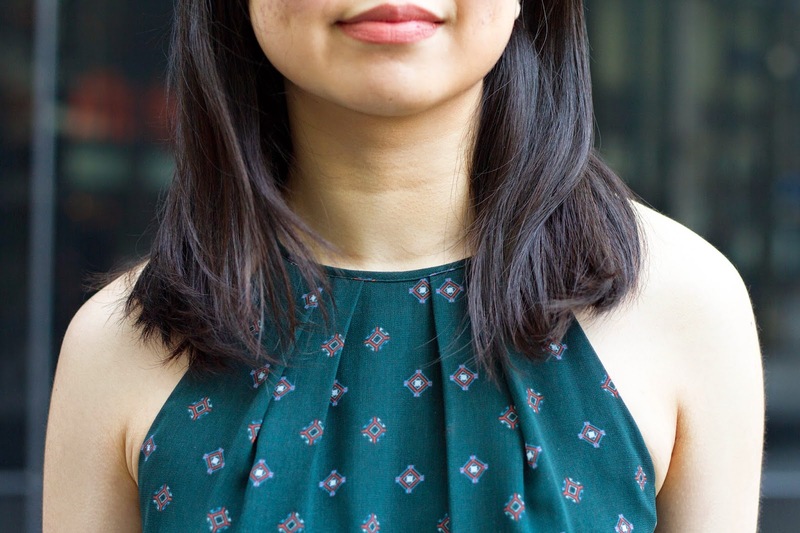 Luckily for people like me, Warehouse has recently launched its SS15 occasion wear line full of comfy dresses, pretty skirts, and (yes) jumpsuits! You can view the press release of the various styles included in the collection below - I'm eyeing the white culotte jumpsuit and that pleated floaty black midi dress! 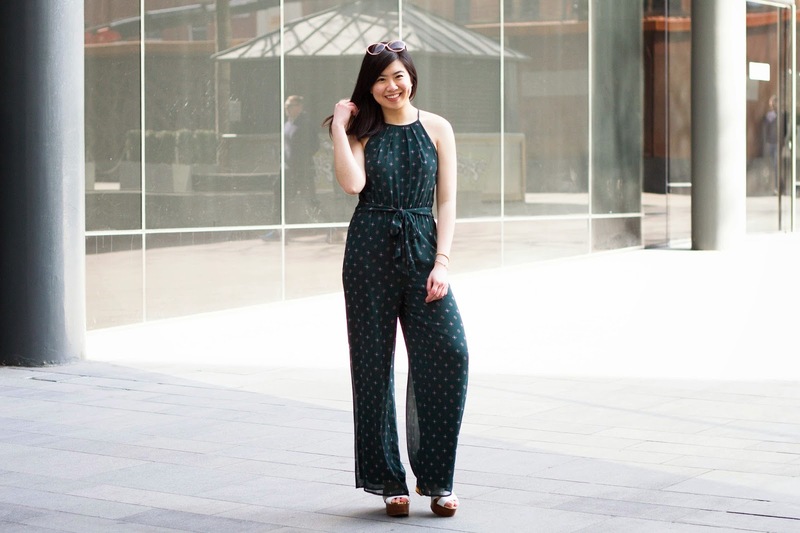 I picked out this beautiful emerald green jumpsuit with cute ditsy prints dotted all over, as it had a great 70s vibe to it with its wide legs. You can't really see it in these photos, but the back is really unique, with buttons all along the spine. 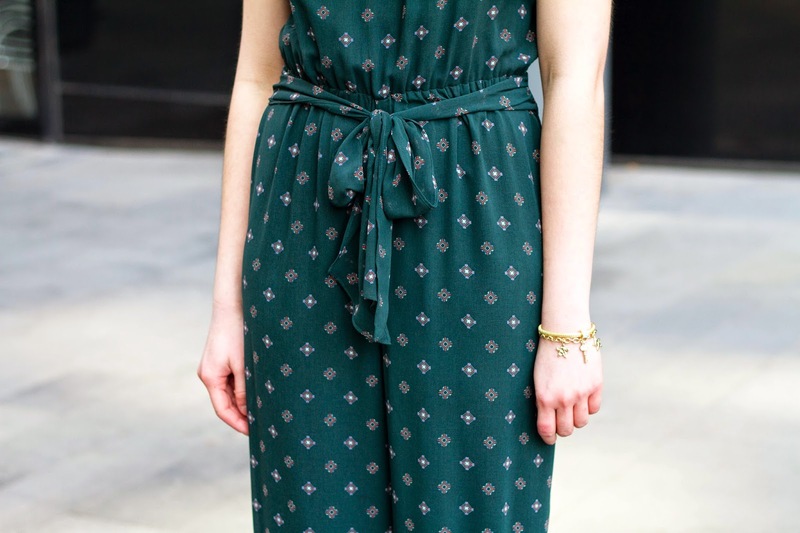 The belt at the waist really cinches in your figure as well, which is a great contrast to the looseness of the jumpsuit. I could really imagine myself wearing this to dinner by the beach, or to a more formal event with a cropped blazer. I finished the look with cateye sunglasses (also from Warehouse), a Primark floppy hat and my new platforms from River Island! I'm a big fan of the chunky heel for its comfort, although I have to admit I was teetering a little in them as the sole is not exactly flat. Best for posh occasions, I think! Plus, I decided to brave the whole shoot with fellow blogger Oliver without a coat - I'm totally feeling spring in Manchester right now! For those of you who are looking to update your occasion wear this spring, various Warehouse stores across England are celebrating this collection on Saturday, 28th March 2015 with an 'Urban Garden Party'. The Party will feature limited edition illustrations by Lo Parkin and all the pieces from the new collection. Customers can get their hair styled by Toni & Guy, enjoy refreshments and snacks and enjoy a generaous 20% discount if they sign up via this link. You also get a goodie bag and a personalised initial bracelet if you do. The event runs from 12-6pm, and you can find a list of the participating stores at the link. Mancunians, you're in luck - the Manchester Arndale store is one of them! I love the jumpsuit, especially the colour. 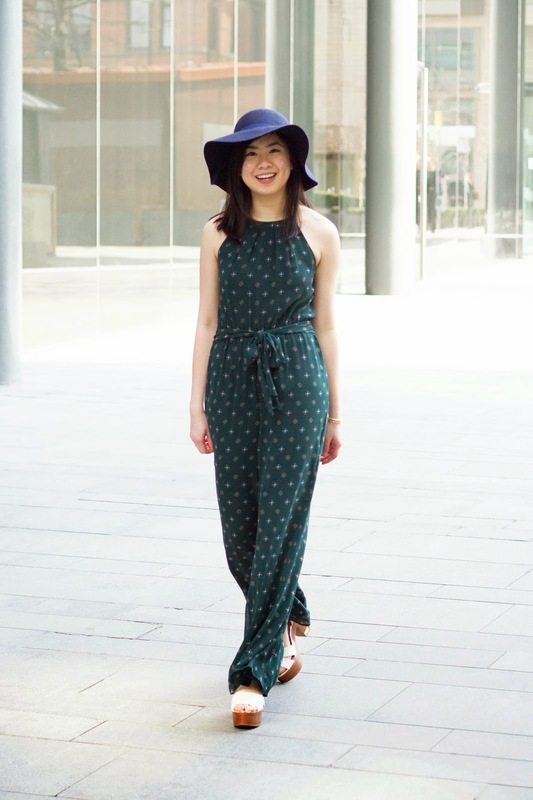 I only own one jumpsuit, but I love it and did a post on it a few weeks back. I might have to come down on Saturday to see the new lines. 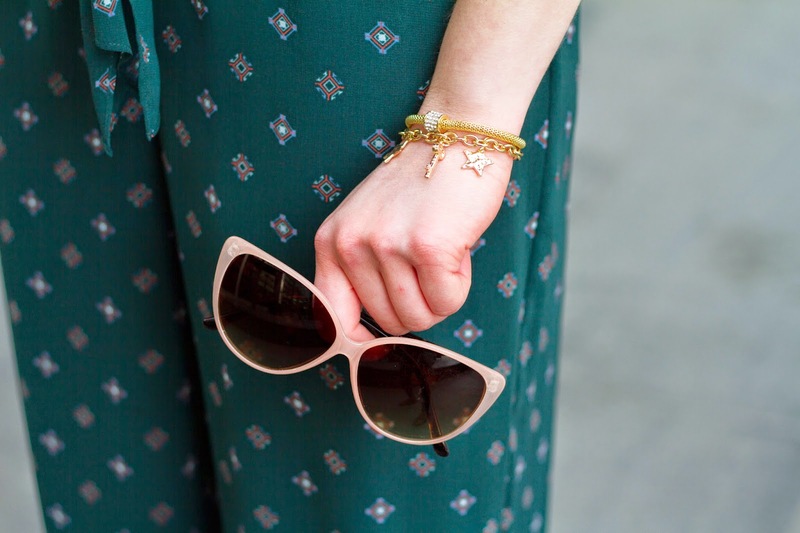 The green printed midi dress looks fab. I NEED that jumpsuit in my life !!!! Yu look amazing in it !! !